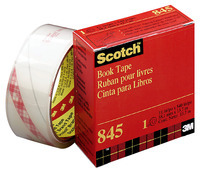 Transparent tape is excellent for repairing, reinforcing and protecting bound edges and surfaces. Ideal for use on books, magazines, pamphlets, documents and more. 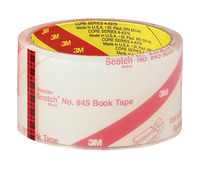 Transparent tape is pressure sensitive and conforms to any surface. Easily reinforces, protects and covers bound edges. It can be marked on with most permanent ink and can also be used for hinging or laminating.